If anyone had asked me up to today what the Irish mainland’s most southern headland was, I would have immediately answered “Mizen Head”. I would have been wrong. That honour goes to the much lesser known Brow Head, a few kilometres to the east of Mizen*. Brow Head can only be visited on foot. There is a small car park near the ithmus between Crookhaven and Barley Cove. A 2km walk westwards up the Mallavogue laneway and through some fields, leads you directly to the headland. On the way, you will see the remains of some old mines, constructed in the 19th Century. There is also a signal tower on the headland, dating back to the Napoleonic times. Guglielmo Marconi built one of the first transatlantic telecommunications towers on the headland. The headland itself is precarious. There are high cliffs on both sides, with sheer, vertical drops in all cases. 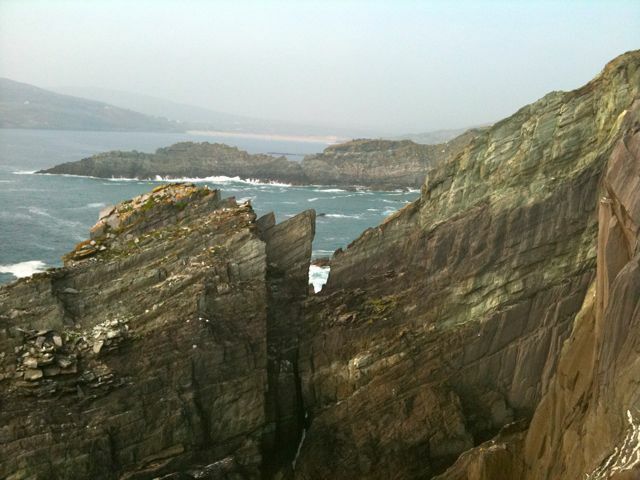 Brow Head is undergoing active erosion and entire bedding planes are exposed in some places. The wave action is intense, to say the least. We were fortunate to come there during a large swell. The huge volumes of water crashing into and pouring off the rocks were nothing short of breathtaking. Here’s a short video to give a flavour of the place. It’s a real gem. Hidden Ireland at its best. 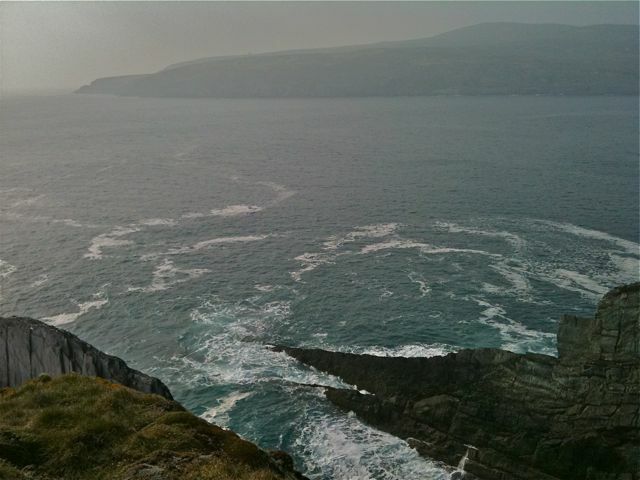 * Mizen Head is actually the third most southerly point on the Irish mainland. That’s a good pub quiz question for you, right there). 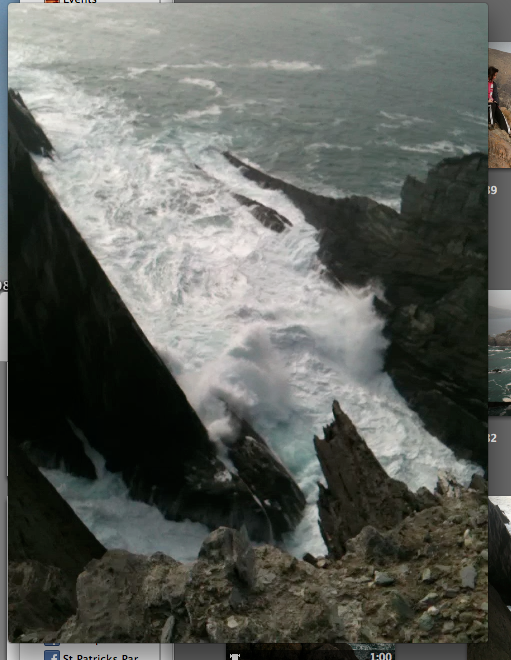 Wow, that video of the waves crashing through that narrow chasm is pretty impressive. Looks like a stunning part of the country, Colm, lucky you! Love Goleen, go every year but cannot think of Ireland’s second. It’s very close to Mizen Head itself – I don’t have an ordnance survey map to hand, so I don’t have its name offhand, but you will see on Google Maps that it is marginally more southerly than Mizen Head. If I can find the name I will pass it on.